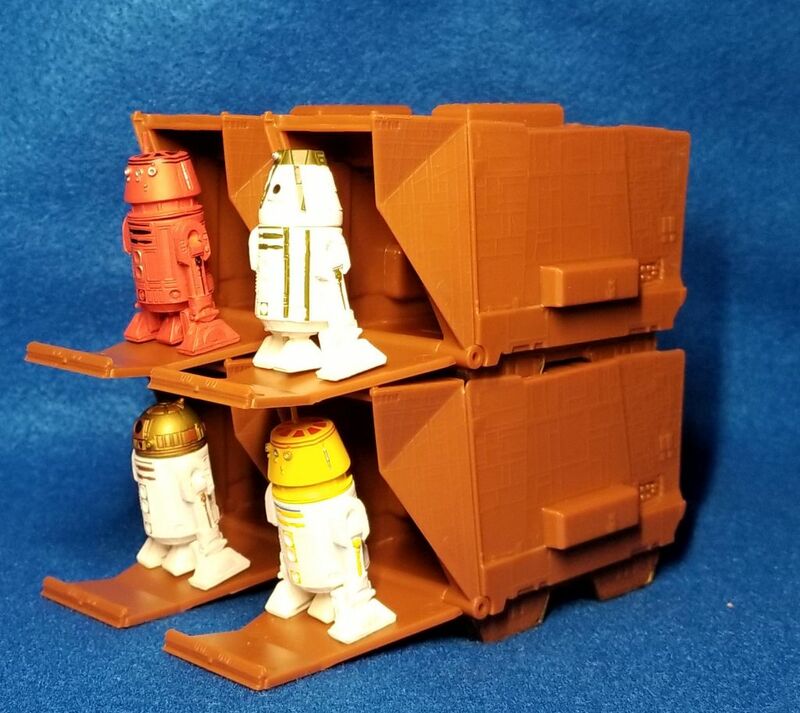 Disney has released a set of 12 Mini Droid Collectible Figures which are blind boxed in Sandcrawler shaped boxes. The new figures use the Build-a-Droid model like Hasbro and the Disney parks Droid Factory figures but are smaller, under 2-inches tall. 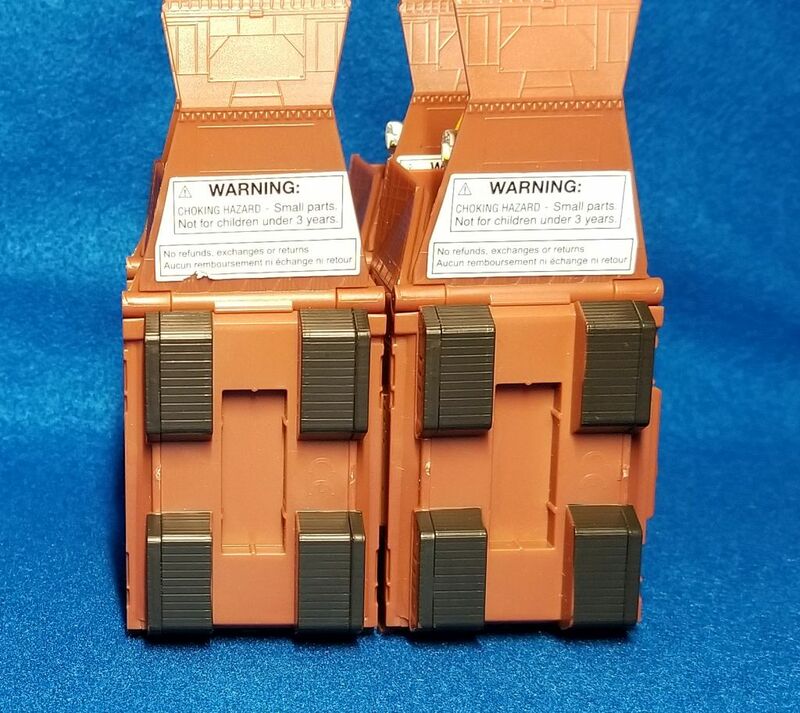 Each droid comes in four pieces, head, torso, and two legs, which can be assembled right out of the package or mixed and matched to create new droids. 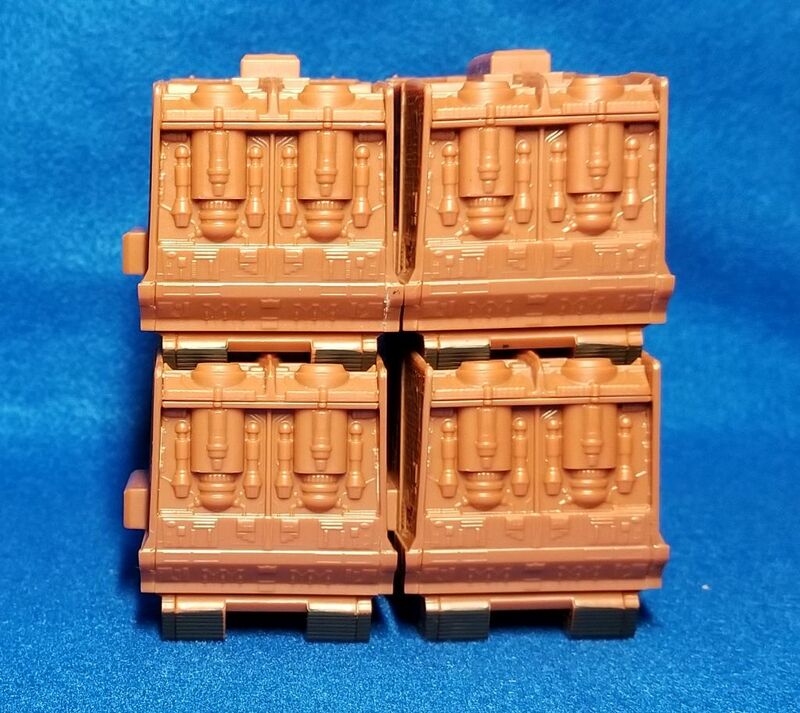 The Sandcrawler boxes have pegs and slots on the top, bottom and sides which allow you to assemble them into a display for the droids. 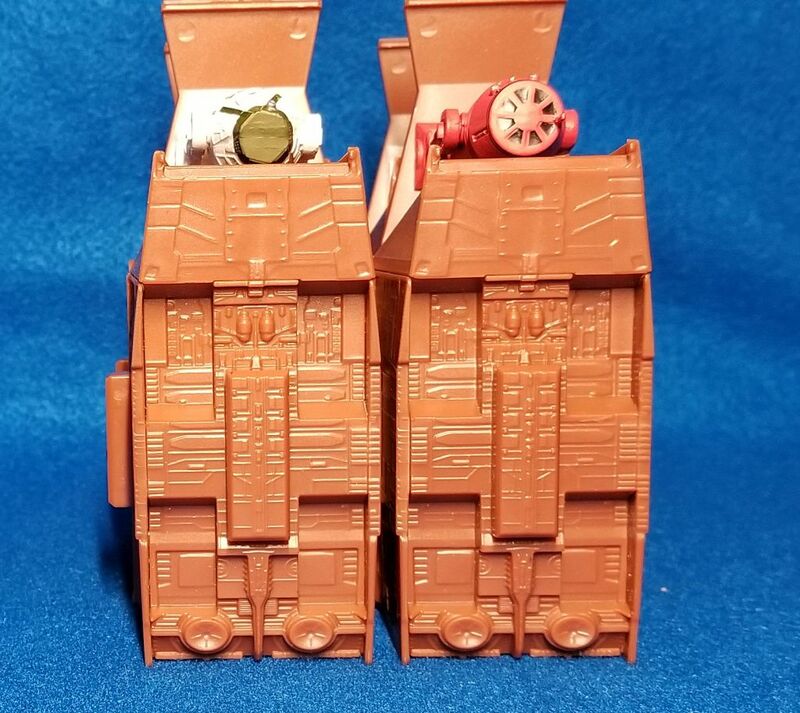 The boxes have an opening ramp on the front that has two peg holes that fit the bottom of the droid legs so everything will stay in place. The box also has a second opening joint that allows you to more easily remove the droids, which come bagged inside. 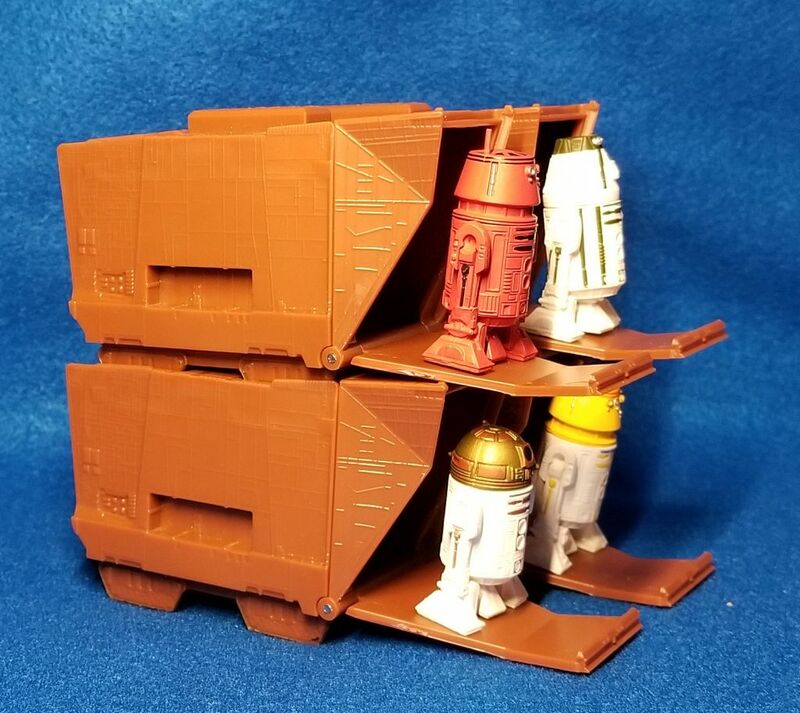 The only paint apps on the Sandcrawler box is for the treads, but the sculpt has a lot of detail. 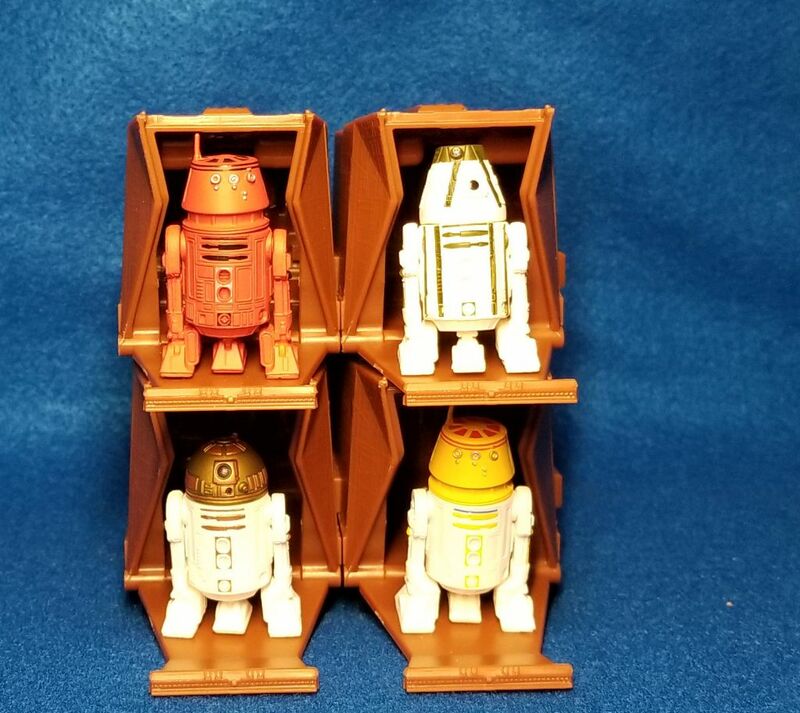 The droids, as mentioned, come in four pieces. They also have a center leg, which isn’t removable, but that can be extended to allow for a two or three legged stance for the droid. There is some articulation in the foot of the middle leg. The side legs and dome rotate but there’s no additional foot articulation on the side legs. The paint jobs on the droids are minimal but do highlight the front arms, vents, and dome eyes along with some highlights on the legs. It looks as if most or all of the droids can be traced to named characters from the movies or from previous Hasbro releases. Looking at the photo below with the checklist, from left to right you have R4-G9, R2-G2, R2-F2, R2-B1, R5-D4, R5-A2, R5,K6, R5-J2, R4-D6, R4-A22, unknown, R4-M9. The green R4 droid looks familiar but we were unable to figure out a designation. 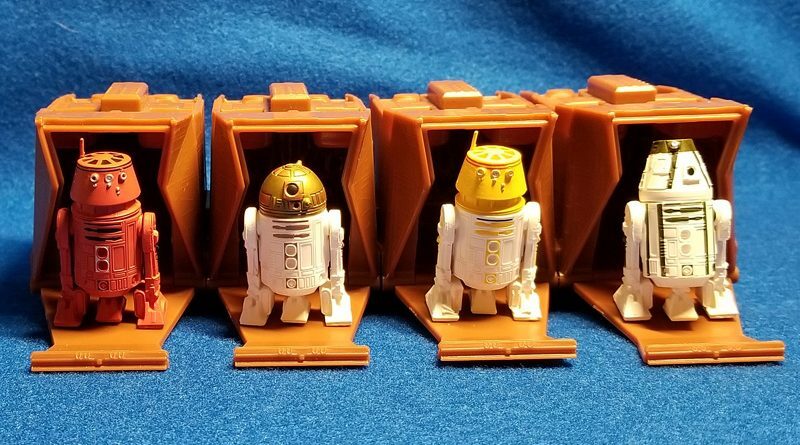 The Mini Droid Collectible Figures are available online now from shopDisney.com for $4.95 each and will be in Disney stores starting December 10th. Photos and an unboxing video below.